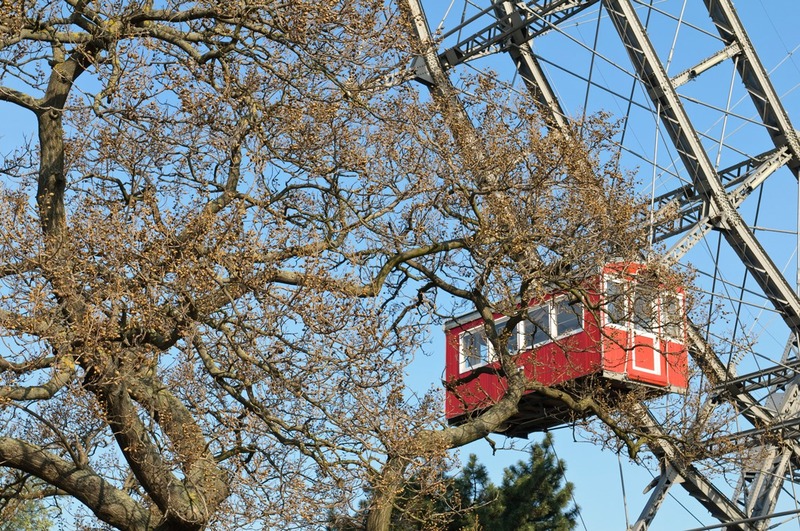 If you’re in the mood for something different on overcast autumn or winter days, the new Museum of Illusions in downtown Vienna might be just the ticket. Opened in July 2017, in this museum you can immerse yourself in a world of illusions and ask yourself if you’re still in your right mind – your senses will be fooled by every trick in the book. You can spend a couple of amazing and entertaining hours here, especially if you go with children or friends. This is the slogan the Museum of Illusions uses to present itself. Here, you’ll enter a world that will bewilder you as much as it will invigorate your mind. There is much to discover and experience during your entertaining trip through the Realm of Illusions. In the “Vortex Tunnel,” you can demonstrate your courage – in the rotating tunnel you’ll have difficulty moving, even though you’re actually standing on a stable, flat surface. Look into the “Mirror of Truth” and you’ll see yourself the way others see you. 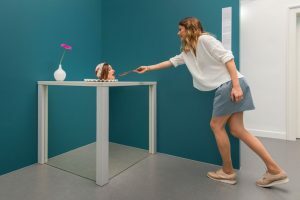 Be sure not to miss the “Chair Illusion,” and watch your friends grow or shrink in the “Ames Room.” Care for some brainwashing? In the “Anti-gravity Room,” you’ll come to doubt your judgment. 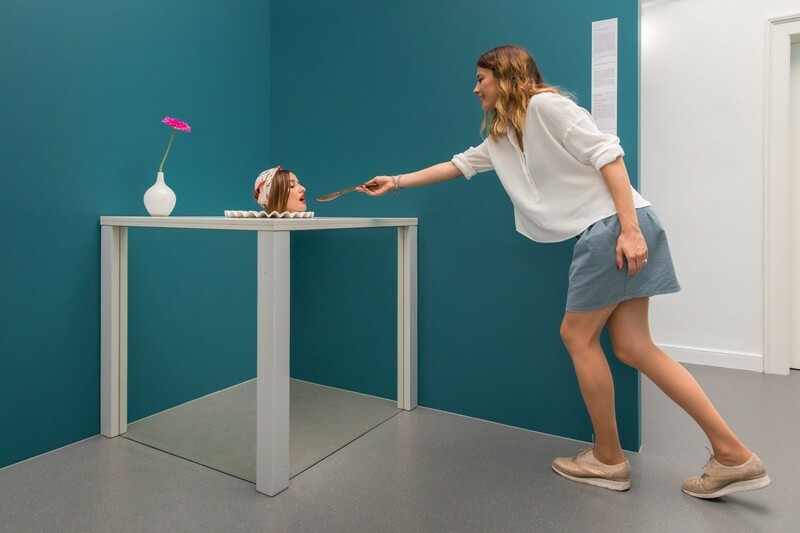 And while you’ll lose sight of material objects in the “Infinite Room,” you’ll be sure to smile at the “head on a platter” illusion. In addition to these and other “action stations,” there are more than 30 optical illusions in images, various stereograms, holograms, and much more. Also visit the “Clever Romper Room” with amazing and informative games and puzzles – but BEWARE: Don’t let yourself get frustrated if something doesn’t work or doesn’t appear to be logical. You’ll rack your brains over many of the games, but they’ll make you more clever. If you’d prefer to test yourself at home or wish to leave with a perplexing gift for your loved ones or friends, you’ll be sure to find something in the “Clever Shop.” Here, there are all sorts of “dilemma games” and souvenirs available for purchase. My conclusion: The “Museum of Illusions” is really “something different” for a change, perfect for gathering new experiences and for having fun with family and friends, suitable for (nearly) every age group. I’d recommend a strong stomach, and if you get dizzy easily, you should approach certain stations with caution. The exhibition is entirely worth any possible waiting time at the entrance. One more tip: Taking photos in this museum is expressly desired!